Is high level of astigmatism troubling you? Are you finding it hard to find toric contact lenses in your power range? 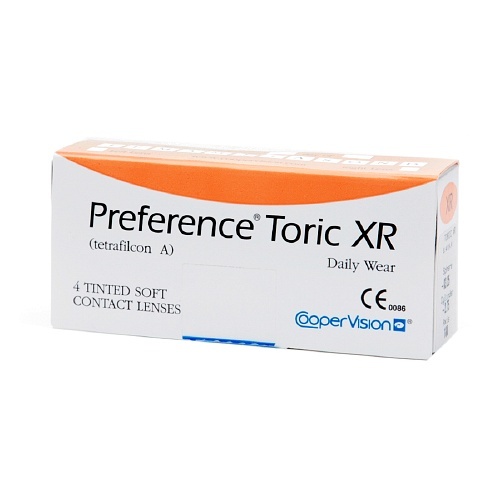 Then, Preference Toric XR Contact Lenses are right for you. These high power toric lenses can be custom made for your power range. In addition, these contact lenses for astigmatism offer high resistance to lens debris and protein deposits. The Tetrafilcon A material used in these lenses make them highly durable. 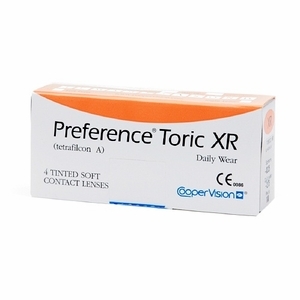 Preference Toric XR Contact Lenses are approved for use up to three months. These toric lenses can be worn alone or can be supplemented with eye glasses depending on the extent of your astigmatism.